This is a heartbreaking topic, but one that's happening more and more frequently. We all know that it's a terrifying moment to receive an autoimmune diagnosis yourself. To receive one for your child is simply overwhelming. It's natural to feel helpless and unsure of what to do. We want to protect our children and usher them into a beautiful life. How do we do this in the middle of chronic illness? I invited 4 parents onto the show today, who have walked this path already. They share their experience and their advice for new parents facing this situation. Ciarra's own healing story: She was diagnosed with hypothryoidism at age 15 and Hashimoto's at age 31. She had to fight for testing and diagnosis; her doctor's dismissed her symptoms as hypochondria. A paleo diet focused on nutrient density has improved her symptoms significantly, which has been a very empowering experience. 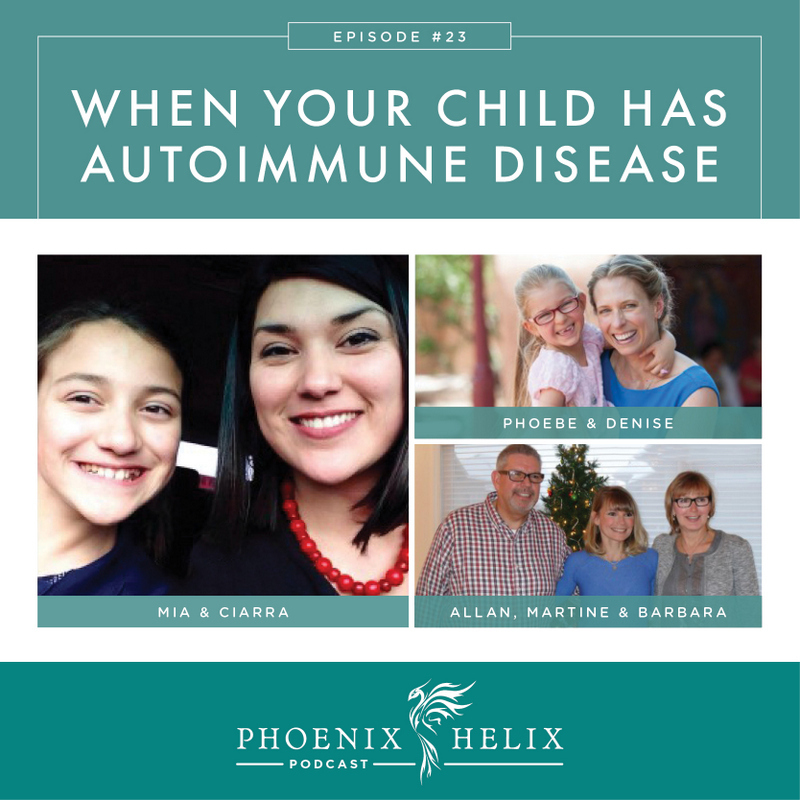 Her daughter Mia was diagnosed with hypothryoidism at age 9 and Hashimoto's at age 10. Her symptoms were exhaustion, digestive distress, puffy eyes, emotional outbursts, social problems, and bodywide aches and pains – all in spite of being on an 80/20 paleo diet. Thyroid medication combined with tightening up her daughter's diet and lifestyle alleviated the symptoms. Ciarra didn't force new rules on her daughter. Instead, she taught her about how autoimmune disease works in the body. She encouraged her to pay attention to how her choices affected her symptoms, and let her make mistakes and learn from them. Now, her daughter makes healthy choices most of the time. Hashimoto's often develops in early to mid-puberty. The symptoms can be very wide ranging, so Ciarra simply recommends looking for a big change in your child's appearance or behavior, where they don't seem like themselves. In that case, consider testing. Letting her kid “be a kid” and spend time playing outside every day, is one of the healthiest things she can do. It's healthy for parents to do the same. Her advice for parents is to take the time they need to educate themselves before making major changes to the family's diet and lifestyle. Autoimmune healing is a lifelong journey – you don't need to change everything overnight. 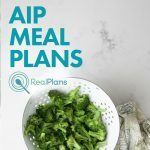 Resources: My Blog Store has my recommended paleo books, convenience foods, and cooking ingredients. 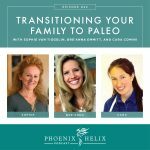 Also listen to the recent Podcast Episode 22 – Transitioning Your Family to Paleo. Ciarra Hannah is the blogger behind Popular Paleo and the author of The Frugal Paleo Cookbook. She also has a series on her blog: Your Child Has Hashimoto's…What's Next? Martine Partridge is the blogger behind Eat Heal Thrive. She was diagnosed with Crohn's disease 20 years ago, at age 15. 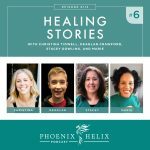 She shared her healing story with us in Episode 14 of this podcast. Her parents join us today to share their side of the experience. Martine's first symptom was fatigue. Their family doctor did some testing and discovered anemia and blood in her stool. He referred her to a pediatric gastrointestinal specialist, who performed both a colonoscopy and endoscopy which resulted in the Crohn's diagnosis. They were all shocked. Until that point, Martine had rarely been sick, and there was no family history of Crohn's. They were told there was no known cause and no known cure. So, the Partridges took Martine to another doctor who specialized in alternative medicine. He put her on a gluten-free/dairy-free diet and prescribed probiotics and digestive enzymes. She improved dramatically and went into remission. The doctor then recommended they reintroduce these foods back into her diet. Unfortunately that took her out of remission and sent her into a life-threatening flare that put her in the hospital at the age of 17. The doctors at that point recommended complete removal of Martine's colon. Her parents felt that should be a last resort, rather than something to do at age 17, without trying other interventions first. So, when her condition stabilized, they took her home and started her on the Specific Carbohydrate Diet (SCD), combined with doctor-prescribed medications. Over the years, they combined conventional and alternative approaches to help Martine heal. Medication alone achieved short-term improvement, but then Martine's health would regress again. Combining the SCD Diet with medication is what moved her health forward. Elaine Gottschall, the author of Breaking the Vicious Cycle, was an active support for them. She recommended they continue the medications prescribed by the doctor, follow the SCD Diet 100%, and when her last symptom disappeared, try to wean her off the medications. That's what they did, and it took 7 years. They tracked her progress month by month, rather than day by day, but today – 20 years later – Martine still has her colon. Barbara and Allen switched to the SCD diet alongside Martine, and went out of their way to make delicious food that wouldn't feel restrictive. They re-created family recipes with new ingredients. Here are some family favorites: Oven-Baked Apple Pancakes and Marshmallows 3 Ways. Denise's daughter Phoebe was diagnosed with Juvenile RA at the age of 3, and Uveitis shortly thereafter. Her first symptom was sore knees which caused her to limp in the morning, but then she'd be running in the afternoon, so Denise assumed it was growing pains. She has since learned this is a classic symptom of Juvenile RA. When the limping got worse, she brought her to the doctor, which resulted in the diagnosis. Since Phoebe was 3, she didn't tell her the diagnosis, since she wouldn't have understood what it meant. Instead, she talks to her daughter about the things they are doing to help her feel better. She uses the language of healing. The first year after diagnosis was very emotional for Denise as she searched for answers for her daughter. The first thing she did was get a referral to a pediatric rheumatologist. Next, she worked with an holistic practitioner using techniques such as homeopathy and reiki. She also implemented dietary changes right away. Now, 3 years later, they follow The Wahls Protocol. Resource: Denise mentioned soaking and dehydrating nuts to make them easier to digest. Here are instructions. Phoebe has alternated between remission and flares during the past 3 years. Denise is now pursuing treatment for latent viruses which might be causing the intermittent flares. She's working with Antony Haynes. 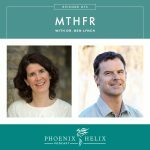 She learned of his work through The Autoimmune Summit. Her advice to parents is “trust your gut”. You know your child better than anyone. Do you best to balance the emotions of the journey, with education about your child's illness and the treatments available. Make the best decisions you can, and never give up. Also, connect online with people who understand. Resources: The Wahls Protocol Facebook Group and The Paleo Approach Facebook Group. Like Martine's parents, she follows the same diet as her daughter and goes out of her way to find recipes that allow her daughter to enjoy treats on occasion, like coconut milk ice cream or cupcakes for birthday parties. Denise Balyoz is the blogger behind The UK Mama and has a series of articles about Phoebe's experience.